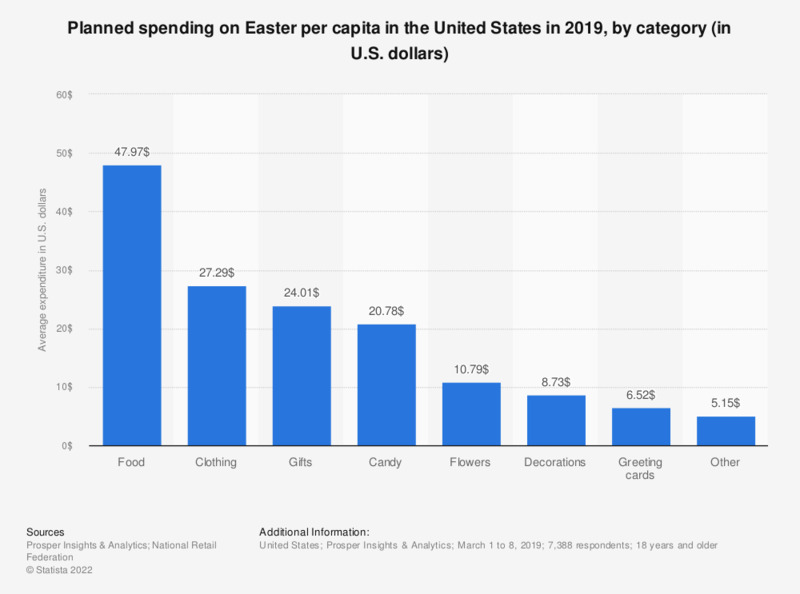 This statistic shows the results of a survey among people in the United States on the amount of money they are planning to spend on the following items for the 2017 Easter holidays. In 2017, respondents stated that they are planning to spend an average of 24.05 U.S. dollars on candy for the upcoming Easter holidays. How is your meal going when you are on the motorway to reach your holiday destination? Do you order posters, enlargements or other wall decorations from your holiday photos in 2015?